I have yet again fallen behind with this blog, but at least it’s directly as a result of a very busy and fun last few weeks. I’ve had a fabulous month of training. 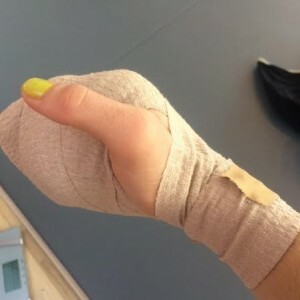 Then I broke my hand. My fingers hyperextended whilst rolling and it hurt a little more than normal. I proceeded to roll though and went to work later, where I had 2 physios check it out and we all agreed that it’s likely to just be a sprain. But when I woke up in the morning it just didn’t feel right. 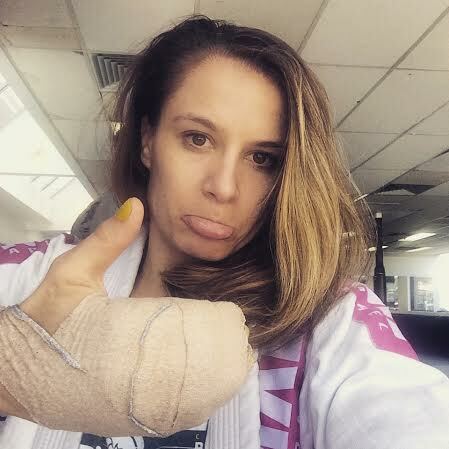 I went to get an x-ray and an ultrasound on the way to training and discovered I had a fracture in my metacarpal of my dominant hand. The advantages of being a physio is that I quickly consulted a sports physician on the phone, who was of the opinion I didn’t need a surgical review and if a miracle happened I could still compete at the trials, providing my pain was controlled. 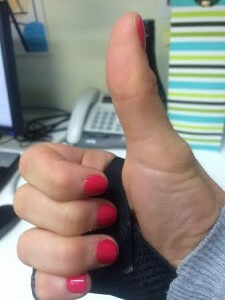 Then the hand specialist at my work made me a splint which I will be in for 4-6 weeks. 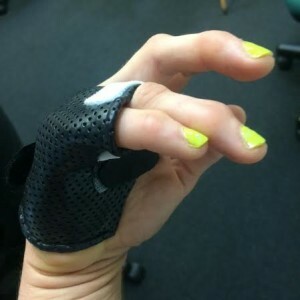 I went to training that night, wearing a splint and with my hand completely taped up so that it would make a paw and did one-handed jiu jitsu. Not the prettiest sight. 1) After consulting with specialists, it was decided that by competing I was unlikely to cause any further or permanent damage. I am a bit nuts, but not nuts enough to ever put my health at risk for BJJ. 2) I was very likely to withdraw if they merged the divisions and I had to fight open weight. Under 65kgs is already a stretch for me, and any mistake in open weight could cause further injury. 3) My pain was controlled and I was able to at least make a weak grip a day before the competition. So with that in mind I kept training. 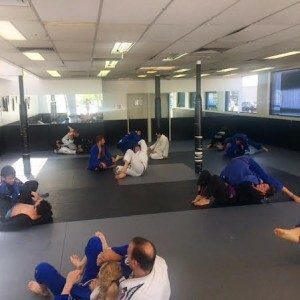 I trusted the more experienced training partners and learnt how to protect myself and tap early if I got into a compromising position for my hand. This damn injury happened at such a wrong time, as I’ve had some pretty cool visitors in the last two weeks. We were lucky enough to have a wonderful Danish couple crash on our couch for a few days. 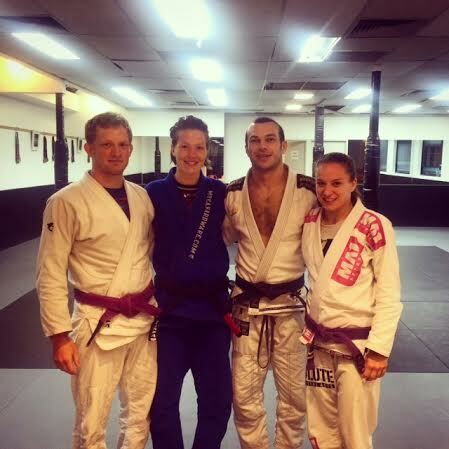 Camilla is a fantastic black belt and Jeppe is a purple belt. It was pretty exciting to be able to train with Camilla a lot. She was such a fabulous rolling partner and as annoying as it was for her to roll with a cripple, she pretended that it didn’t bother her at all. 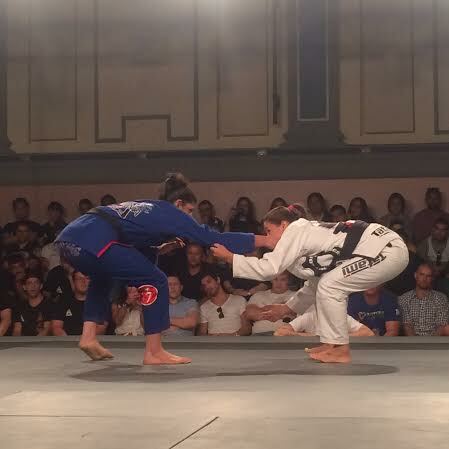 Camilla has beautiful foot work with her passing and she also showed Lachie and I some cool sit up shin to shin guard details. 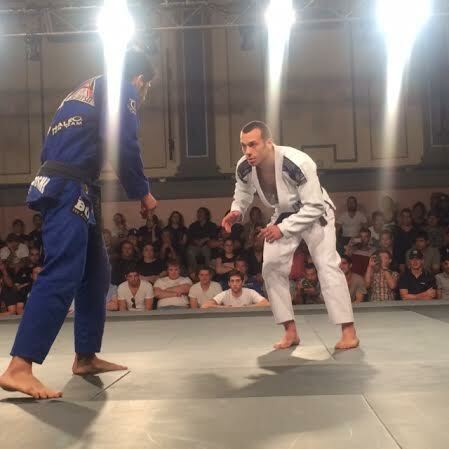 About 2 weeks ago Lachie fought at BOA Super 8, 2nd Edition. As the only Aussie in the line up, he made it all the way to the final, where he lost to Satoshi. I’m super proud of him, as always. 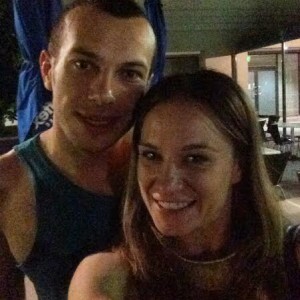 What Lachie does best is improve after his losses, so the next day we were at the gym fixing the mistakes he made in that fight. I was also very excited to see women’s fight on the card. Massive props to Jo Masiello who was the only female to agree to take the fight with none other than Michelle Nicolini. What a wonderful opportunity not only for Jo, but for the whole of Australia to see what the ladies have on offer. You cannot lose fighting at events like that and in my opinion, we need more women to agree to showcase their skills at high level events like BOA. 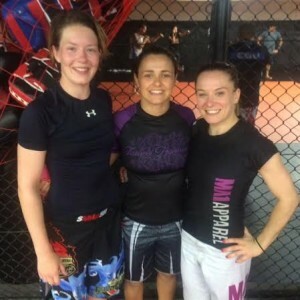 Lucky for me, Michelle was in town for a few days so we got to catch up, train, hang out, and I learnt some new tricks in her seminar and a private. Michelle is still my favourite fighter and all who know her will agree that she is super friendly and approachable. Next up was training with Satoshi at Absolute South Yarra. With about 8 black belts on the mat, there were good rolls galore (for me, not for them)! Satoshi answered many of our questions and I got to roll with him and his super sayan powers. Happy, somewhat rested, slightly annoyed at my crappy prep and injuries, I decided to fly to Sydney for the trials and make up my mind on competing on the day. More on that in the next post!